When a comic makes me very emotional, it instantly wins me over and this is one of those issues. I have come to the conclusion that Kite Man is one of my favorite villains now. The last Kite Man interlude was so good and this issue solidified the character for me. Tom King has made him both an empathetic and pathetic character; he’s a joke but he honestly can’t help it. He’s been called a joke all his life, even by his wife. Throughout the issue, a conversation between him and his son is played out alongside his activities as the last of Joker’s lackeys and he’s continuously being beat. 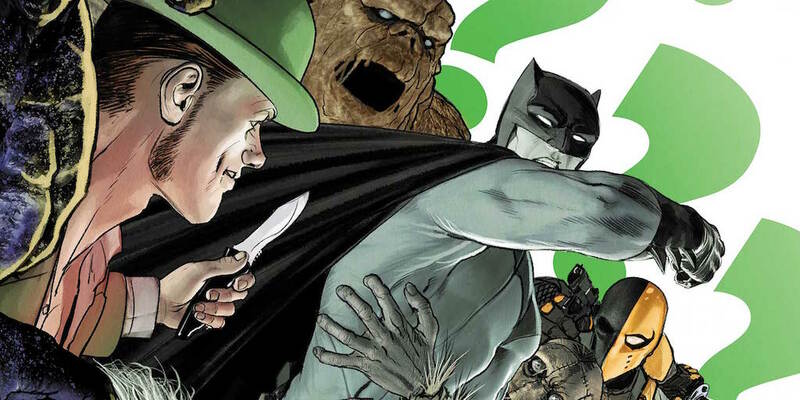 I feel so bad for him because at this point his son is dead thanks to the Riddler. Him breaking down in the interrogation cell from remembering his son asking him to teach him to fly a kite is heart wrenching-- it’s one of the best pages in King’s entire run. It’s hard for me to get choked up and when a comic can do this to me, it’s done a fantastic job. 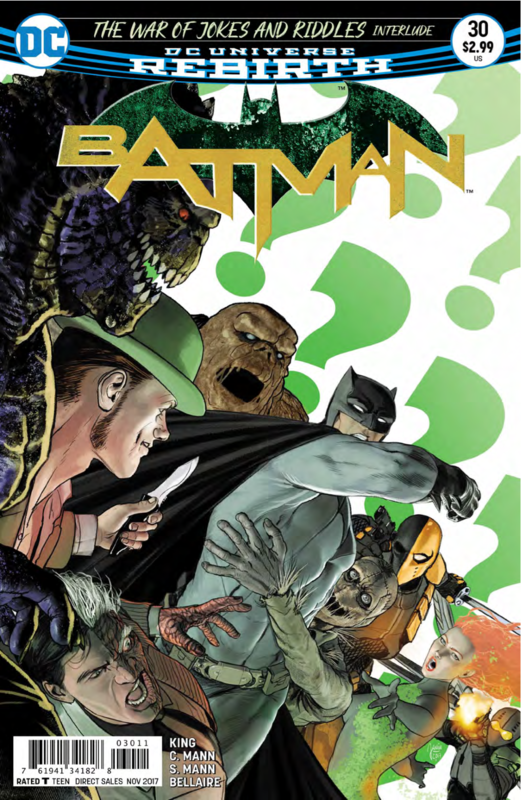 Go out now and read this issue and the Kite Man interlude before it if you haven’t already. 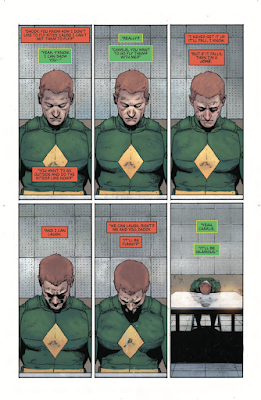 Now, it’s no surprise I haven’t liked this story arc but these Kite Man issues are so amazing. I know King is an excellent writer and he truly shows it here as well as in the Mister Miracle book and the “I Am Gotham” arc. He just hasn’t been as great with the rest of the Batman book and I hope that after this arc, he really steps it up and brings amazing, emotional stories to Batman as he has with Kite Man and Mister Miracle. Clay Mann’s art in this is also amazing. I love the way he draws each character and background that I hope he continues to be apart of this book in the future. Batman #30 is a wonderful issue. King has brought Kite Man to the level of what Geoff Johns did with Aquaman, no longer make him a joke. Sure, everyone still thinks he’s a joke but the amount of emotion and empathy there is to his character no longer calls for laughs. I hope King brings this kind of emotion to his future Batman stories.